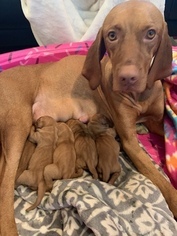 We are happy to announce our newest litter was born Sunday, Jan 13! We have 5 females available and 4 males :) Dad and Mom both reside at our home. 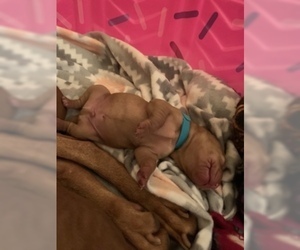 Declaws will be removed and tails docked to Vizsla standards. 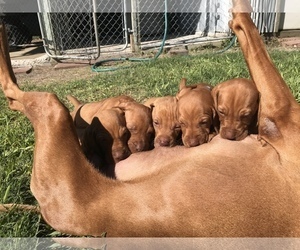 Litter is registered with the AKC. Puppies will go home with first set of vaccinations, be dewormed and with a health guarantee, health certificate from licensed vet and bill of sale. We are open to discussing shipping if necessary. 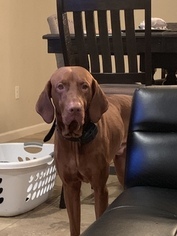 Items Included: First set of vaccinations, health guarantee, health certificate from certified vet, declaws removed, tails docked, dewormed, AKC welcome packer and bill of sale. 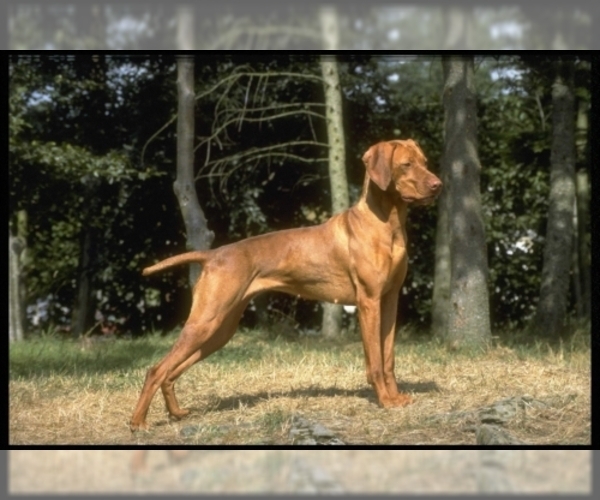 AKC registered with grand champion blood lines. An energetic, loving and happy male! AKC registered. Super attentive and affectionate. Loves to please! Golden rust.